Ahoy homies! I am writing this post to you from my parents’ back patio. The sun is out and I’m sipping a Snapple. Do things get better than this? I am here right now because we are leaving bright early for Florida tomorrow. We are staying at my aunt and uncle’s house on the beach and I’m so jazzed. I really need a week away from Columbus to chill and recharge. I’m still going to jump on the computer for a few hours every day, so expect posts! They just might be delayed until afternoon like this one because, you know, hangovers or whatever. to prevent hangovers. I was so convinced by the post, that I ordered a bottle and had it shipped to the beach house so it will be there tomorrow. Holler! I just started reading Delightfully Tacky’s blog. I don’t know about tacky but she definitely is delightful! As a huge Wizard of Oz fan, I really enjoyed her post about performing as The Emerald City in a recent burlesque show. I found Style Lingua‘s post about the downfalls of Instagram to be SO relatable. 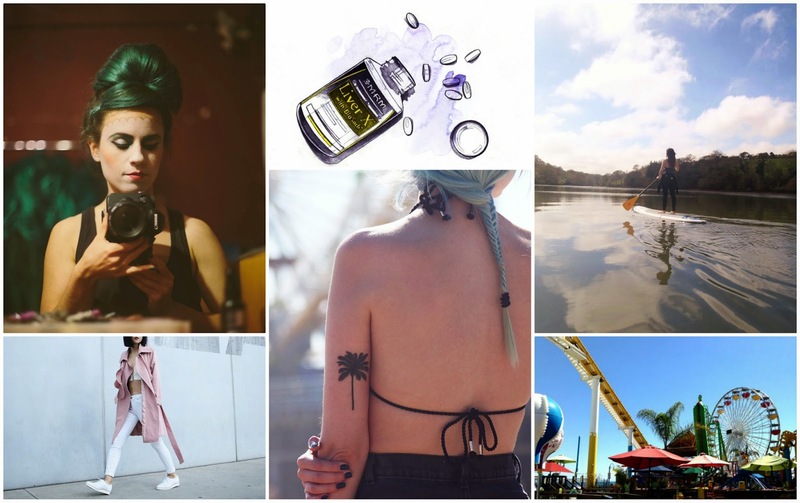 Is anyone else not a huge Instagram fan? I’m on it because I feel like I have to be but I feel like it’s cheesy. I’m loving this pink trench look from Nalieli! It’s so perfect for spring. Naomi in Wonderland continued her Pacific Coast Highway Series this week. Definitely read all the parts! It looks like such an amazing trip. I hope to go on it some day! This post from On Serpentine Shores will inspire you to get outside and get active instead of slaving away in the gym! Zoe London got her first tattoo and I love it! Now I want one! 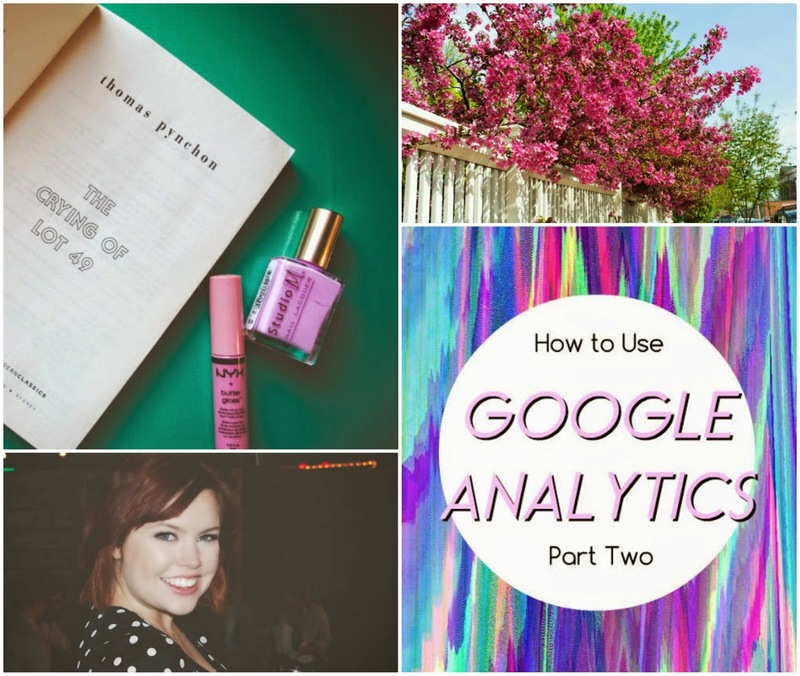 Part Two of my Google Analytics series, where we learned about where visitors come from and a few simple tricks to improve traffic. You can also read part one here! Some shots of my neighborhood, where all the trees are blooming in gorgeous shades of pink! Saying goodbye to a friend at Seventh Son Brewery. A few of my favorite things from April. What have you guys been into this week? Let me know in the comments!